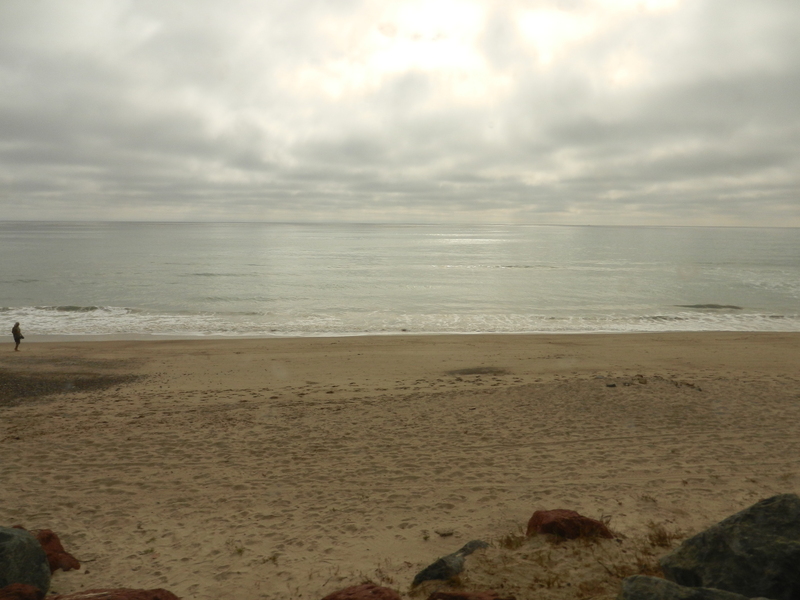 I arrived in Oceanside on Wednesday and parked at the Elks lodge with water and electric. They also have a dump station, laundry and workout room. At $18 per night you can’t beat it. On Thursday I walked about a mile to the train station and hopped on the northbound train to San Juan Capistrano. I would be staying at my sister and brother-in-law’s home for a few days. 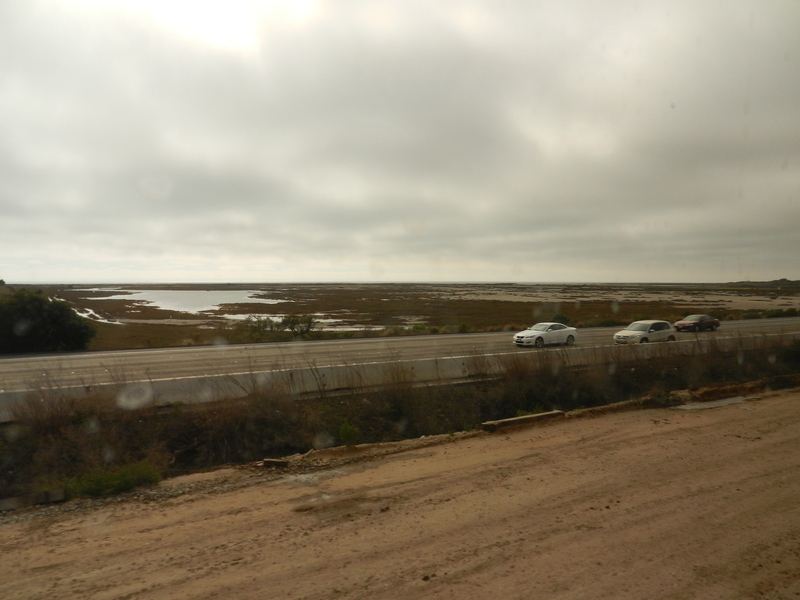 The train ride was very nice skirting along the coast. I got to see many surfers just south of San Clemente (my old stomping grounds). I took the following pics from the train as it was flying down the tracks. 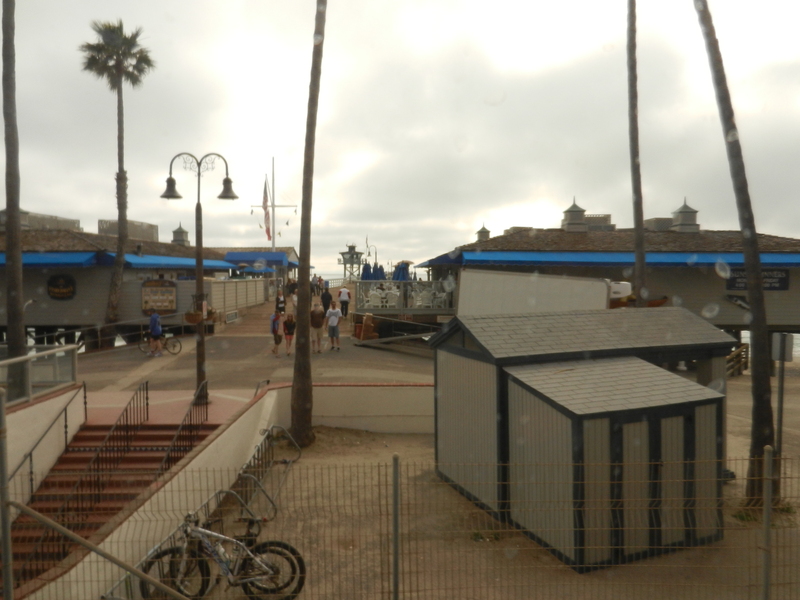 This is the San Clemente pier. 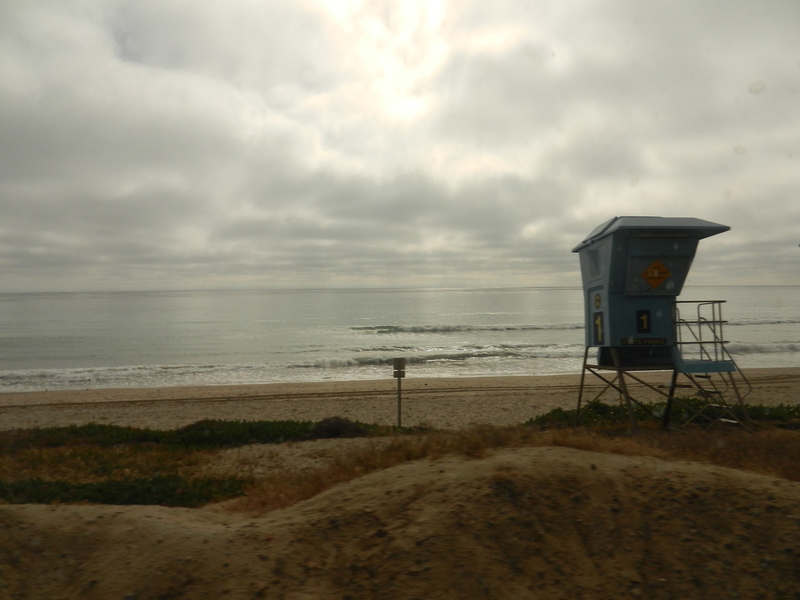 I used to love to walk down to it when I lived in San Clemente. San Clemente is a great little coastal town. The following day we played golf (which I haven’t done for some time) and had a great time. Saturday we picked up my mom and we all went out to lunch. It sure was good to see her! Sunday we celebrated my niece’s (and her boyfriend’s) birthday. Then I was going to get dropped off at the train station to return to Oceanside. But it was pouring rain so they offered to drive me down to Oceanside the next morning since they were getting together for golf for a few days with friends in that area. I will be staying at the Oceanside Elks for a few more days and then head back to Orange County for more family GTG’s. 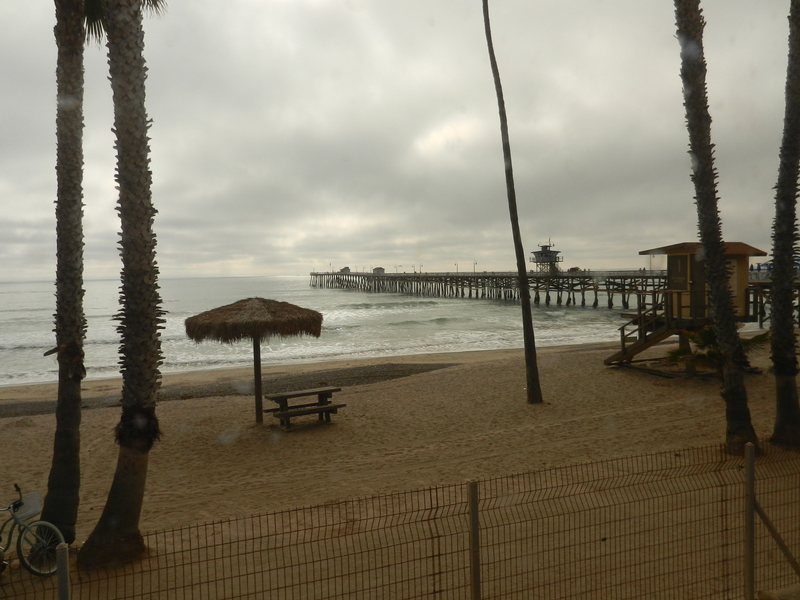 This entry was posted in Amtrak, California, Elks, Family, Mom, Oceanside, Oceanside by Jim Melvin. Bookmark the permalink. I was just in San Clemente this morning! Went down there to walk around since the trails I like to hike near where I’m staying (Tustin) were closed due to wet and muddy conditions. My first time walking around San Clemente. Neat little place. Elks club as lovely as it sounds? I’m still in Mesa but will be heading out towards NM at the end of the week. Glad you’re having fun with your family. It sounds like it was worth it joining the Elks. Great deal for a site in Oceanside. We only took a day trip there but really liked it. Looks like a fun train ride and good time with family. The Elks is quite a bargain. Glad you enjoyed golfing with your family. Also very glad you saw your mom. Great pictures. San Clemente is a sleepy little town between Dana Point and Oceanside on the coast. Jim there is a rainbow over your RV. I forgot to mention that San Clemente is in California. Yes there is a rainbow over my RV. That picture was taken last year when I was also in Anza Borrego after it rained. I was also at almost the same spot this year and it also rained but I didn’t see the rainbow.